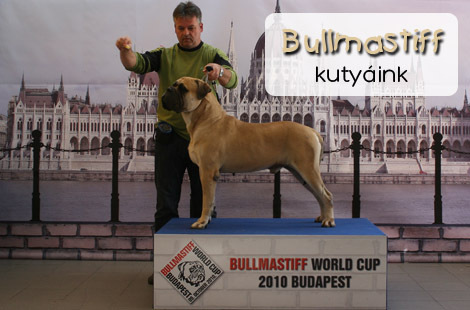 We are László Zsubori and Dr. Tünde Csanádi, Bullmastiff and Griffon breeders from Hungary. We live in Kalocsa. 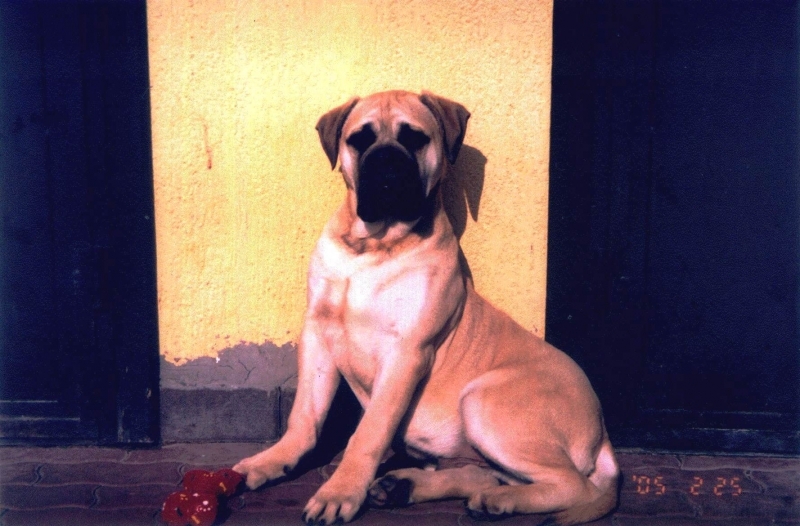 We have been dealing with dogs since 1993. 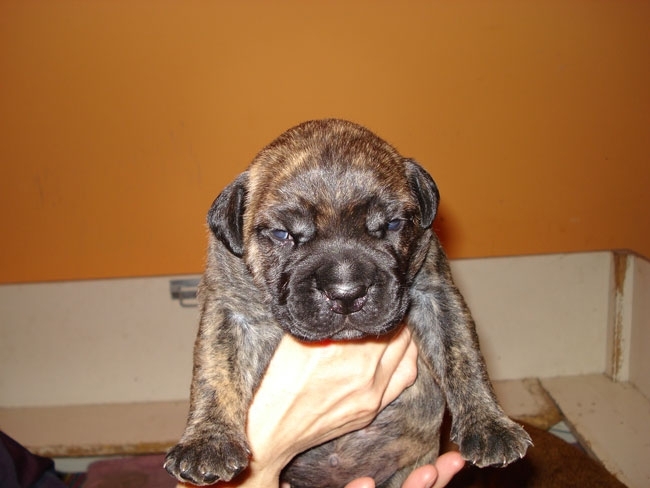 First we bred black giant Schnauzers, however, we have been in love with Bullmastiff breed since 1997. 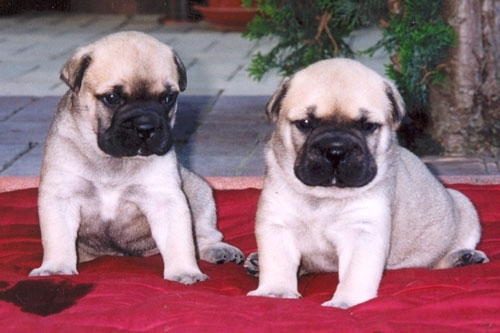 The dogs making up the basis of our breed come from Somogyvári-Vitéz Bullmastiff Kennel, which has European reputation. 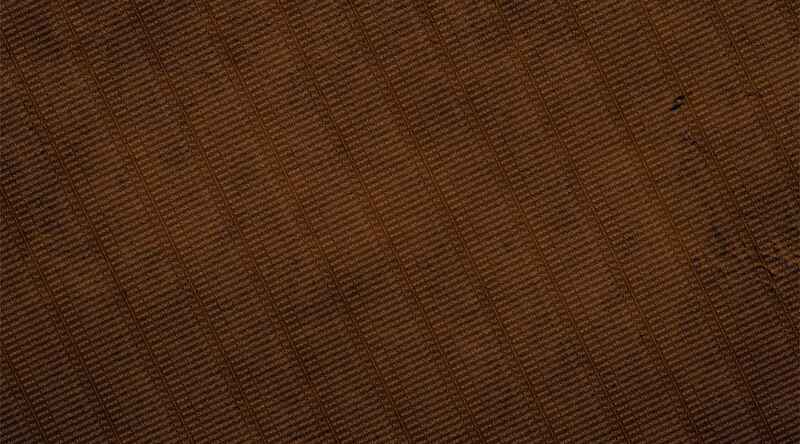 We have formed our current high quality stock by building in another stranger line. 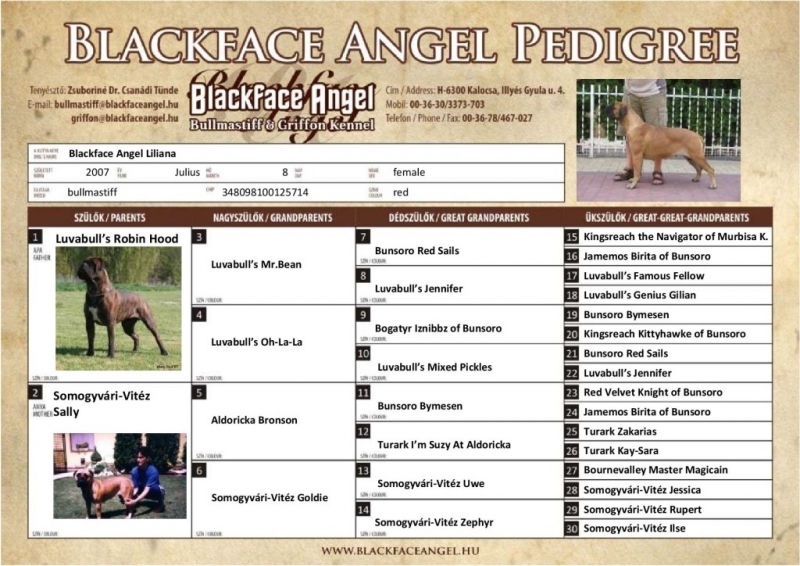 A lot of their progenies have become Hungarian and International Champions and our biggest pride is Blackface Angel Indiana, which has already become European Champion twice, category winner of CRUFTS, as well as junior and adult champion in six countries. 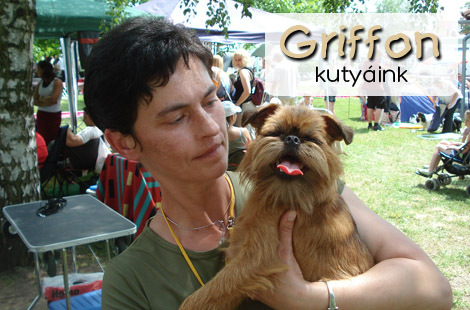 In 2006 our family was extended with a new breed called Griffons. 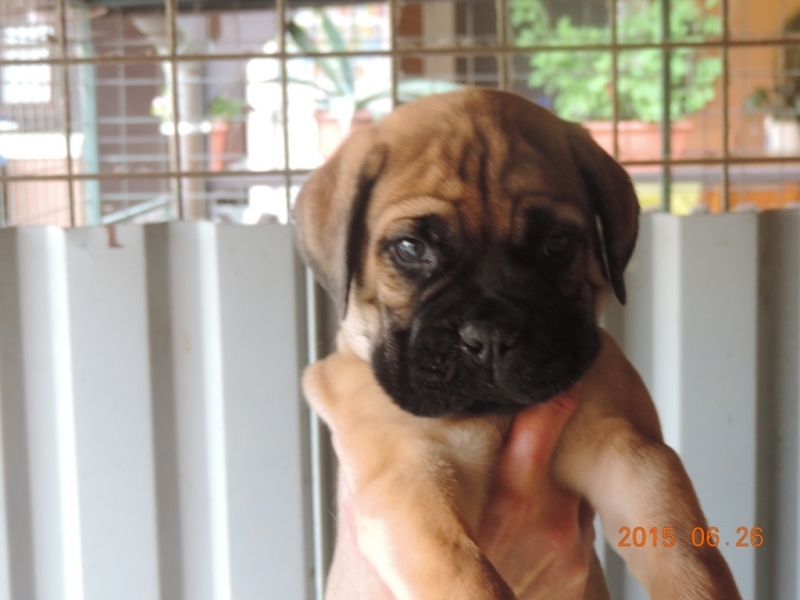 The dogs arrived from respectable European kennels (Finnish, Czech and Russian). 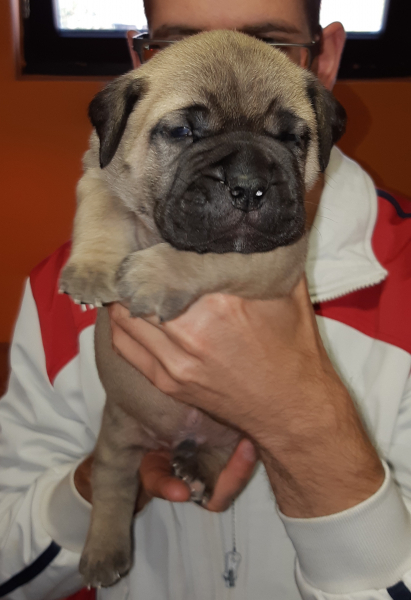 We have already pleased a lot families with their high quality puppies. 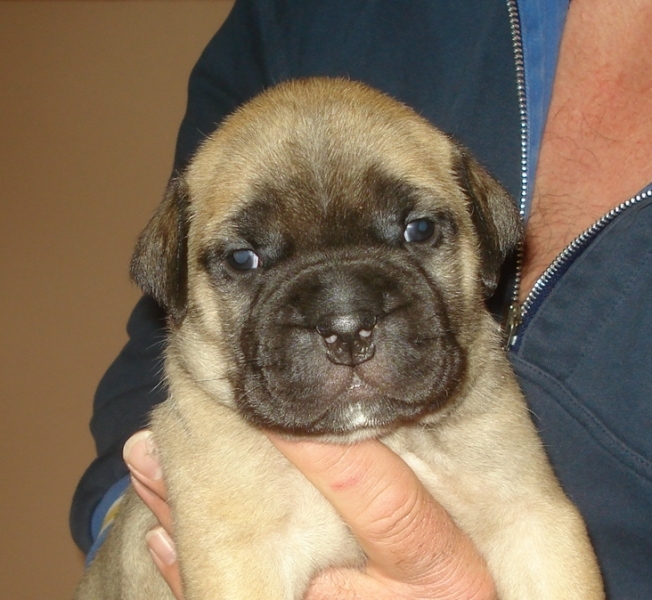 All our family members love animals and they create a really important and essential part of our life.